Proposals to contribute to this event are still being accepted, please see the call for works below. Sound and visual artists / groups working with networks as a thematic or technical element to their work within live performance contexts are invited to contribute to the event. 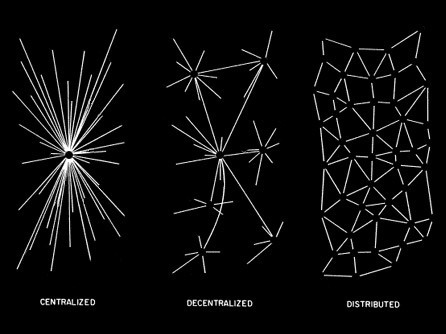 Proposed performances can include the use of networks to dynamically generate or enhance performance, to collaboratively create a performance through a network, to discuss the nature of networks and their impact on society etc. All proposed performances are required to be audio-visual, audio or visual with selection preference given to audio-visual works. Performances can last up to a maximum of 30 minutes each. As the event is free we are unable to offer individual payment but will provide access to a supply of equipment (please include a list of requirements in your proposal and we will attempt to cater for this) at the venue, suitable refreshments and possibly accommodation if required. Contributions to the event will be included in the DVD of all six events published by the C3U Music Label later in 2008. Urls to previous examples of work online. Artist(s) / group / performer(s) name and contact details. Please email proposals as attachments (not pasted into the email) to Garrett Lynch (garrett [at] asquare dot org) no later than 12pm (GMT), Friday 02/11/07. Canterbury Christ Church Broadstairs Campus, situated on the east coast of Kent, England approximately 30 minutes from Canterbury, opened in 2000 with a wide selection of higher education courses. The campus is committed to the arts and cultural regeneration of the area and regularly host’s events, exhibitions and performances on site. Interference:-/Anomalies of perception, the disturbance of a perceived cohesion of form, an uncomfortable diversion from normalcy. Interference will explore spatial disturbance through the audio-visual metaphor. On November 20th Open Ear will host an event curated by Garrett Lynch (http://www.asquare.org/) entitled Network which will present performances on this theme. Sound and visual artists / groups working with networks as a thematic or technical element to their work within live performance contexts are invited to contribute to the event. Proposed performances can include the use of networks to dynamically generate or enhance performance, to collaboratively create a performance through a network, to discuss the nature of networks and their impact on society etc. All proposed performances are required to be audio-visual, audio or visual with selection preference given to audio-visual works. Performances can last up to a maximum of 30 minutes each.